and Bow Brand Silver Plated Concert Bass Wires. 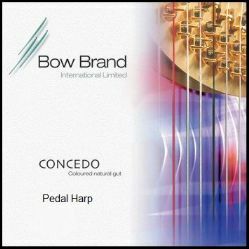 ( We are the only supplier of CONCEDO Pedal Light Gut strings which Bow Brand make for us to special order ). Prices listed for Full Sets of Gut or Bass Wire strings include a 10% discount.